Can a virus track the fungus that’s killing millions of bats? A lethal fungus has killed an estimated 6 million bats in the US and Canada since researchers identified it in 2006. First discovered in New York, the disease has spread to 29 states and four Canadian provinces. Some of the most prevalent species in the Northeast have suffered estimated mortality as high as 99 percent. 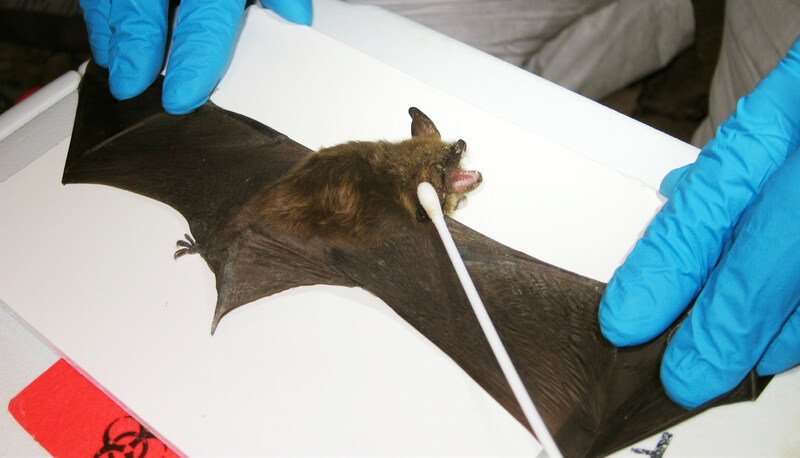 Now scientists have discovered a virus that infects the fungus, Pseudogymnoascus destructans, which causes white-nose syndrome in bats. They say it may be possible to track how its spreading by identifying regional variations in the virus. Although several species of bats have been affected, some of the most prevalent species in the Northeast US—such as little brown bats—have suffered estimated mortality as high as 99 percent. These losses have serious ecological implications. For instance, bats have a voracious appetite for insects and are credited with helping to control populations of mosquitoes and some agricultural pests. The researchers examined 62 isolates of the fungus, including 35 from the United States, 10 from Canada, and 17 from Europe, with the virus infection found only in North American samples. P. destructans is clonal, meaning it is essentially identical everywhere it has been found in North America, making it difficult to determine how it is moving, says Marilyn Roossinck, professor of plant pathology and environmental microbiology at Penn State. Roossinck explains that fungal viruses are not readily transmitted among fungi, so the variation in the viral genome probably is occurring as the virus evolves within each fungal isolate, providing a marker. “So we believe the differences in the viruses reflect the movement of the fungus, and this viral variability should enable us to get a better handle on how the disease is spreading,” she says. Does the virus help the fungus? The virus is not thought to cause disease, but researchers don’t yet know whether it influences the virulence of the fungus, Roossinck says. The researchers, who report their results in PLOS Pathogens, were able to eliminate the virus from one fungal isolate, which provided a virus-free isolate that they could compare to wild isolates that harbor the virus to look for biochemical changes. 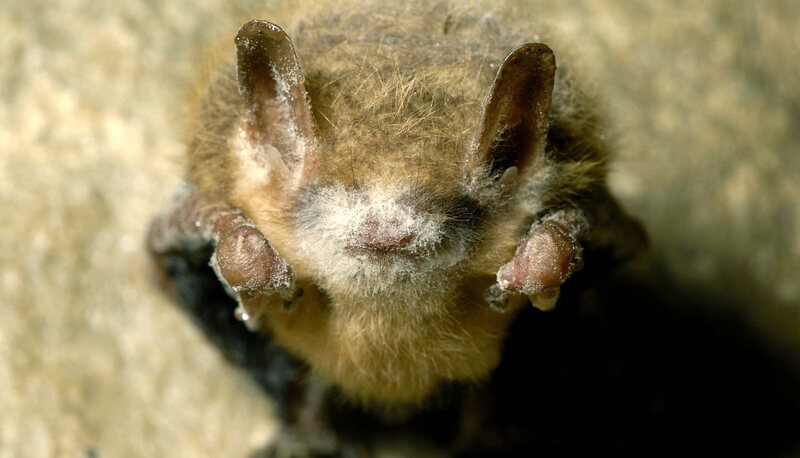 “Although we didn’t look directly at the role of the virus in white-nose syndrome, there is evidence of a close biological relationship between the fungus and the virus,” Roossinck says. “We found that the virus-free isolate makes many fewer spores than an isolate with the virus, suggesting that the virus may be beneficial to the fungus in reproduction. Roossinck says the study has important implications in the search for ways to save the bats of North America. Other researchers on this project were from Penn State, the Pennsylvania Game Commission, Lock Haven University of Pennsylvania, and the University of Wisconsin, Madison. The Pennsylvania Game Commission and the Huck Institutes of the Life Sciences and the College of Agricultural Sciences at Penn State supported the study.